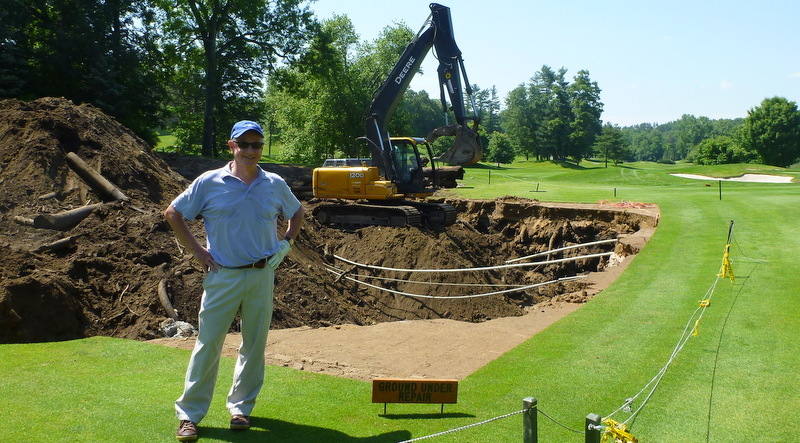 Bob G., ground under repair, Glen Arbor Golf Club, Bedford Hills, New York, June, 2013. Later in the round, a red-winged blackbird let me know I’d gotten too close to its nest. It flew in circles around my head and yelled at me until I got to the green. Think how much easier remembering names would be if everyone dressed like this. It started raining just as we were putting out on the eighteenth green, and almost immediately the lightning siren blew. That means we didn’t waste a single minute of the day. 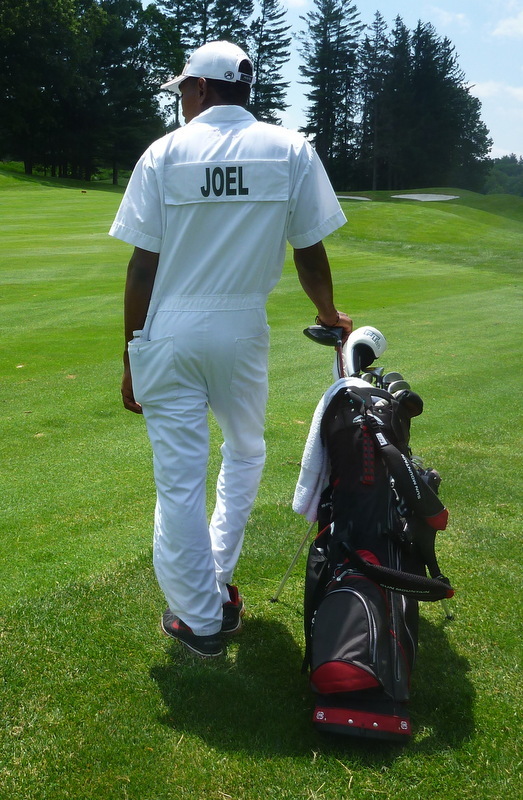 Joel, on the eighteenth green. (See? I remembered his name.) You can see some thunderstorm sky in the distance. 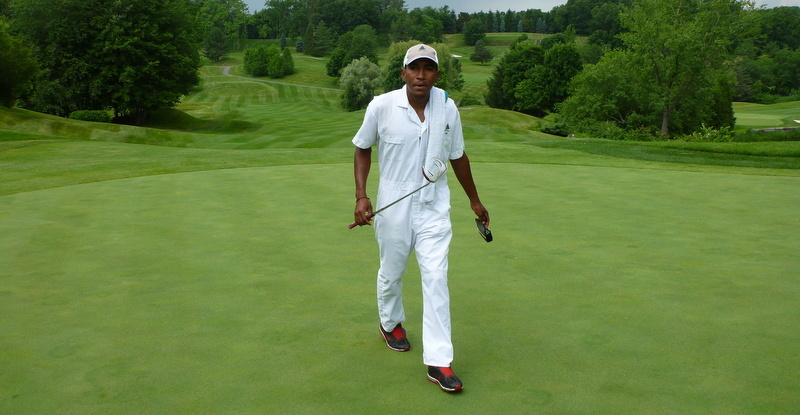 This entry was posted in Golf Courses, Sunday Morning Group, Uncategorized and tagged Glen Arbor Golf Club by David Owen. Bookmark the permalink.